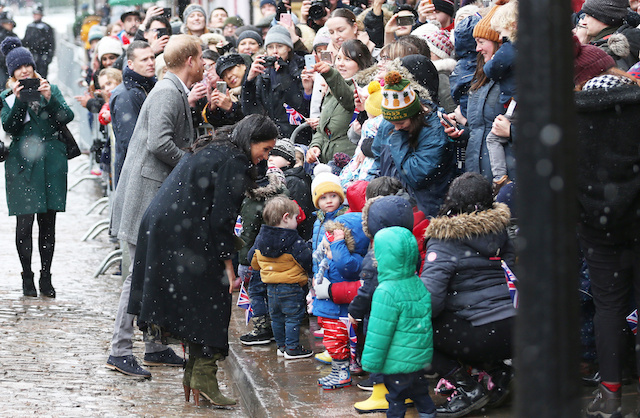 Meghan Markle and Prince Harry thanked the crowd of well wishers Friday who had braved the snowy weather and waited in the cold temperatures in England just to meet them. 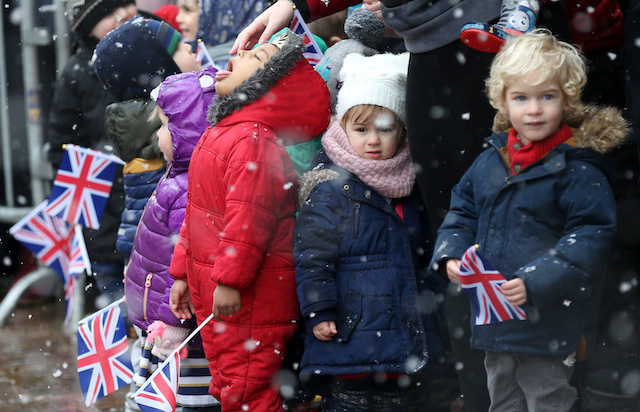 The pictures that surfaced from the royal couple’s event in Bristol were simply amazing, as photographers captured little kids bundled up in bright colorful coats as snow was falling, waiting to meet the latest member of the royal family and her husband. 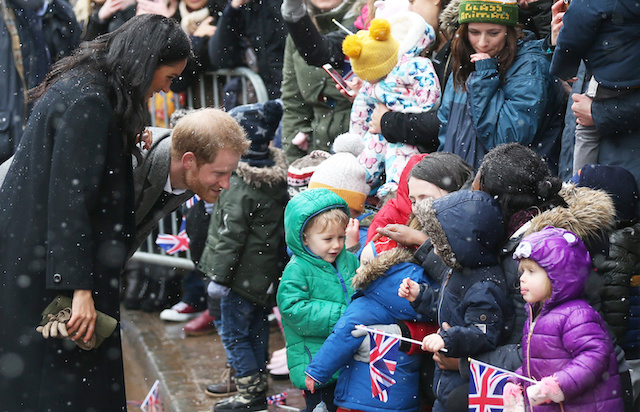 The weather prevented the Duke and Duchess of Sussex from flying in for the event and taking the train instead. 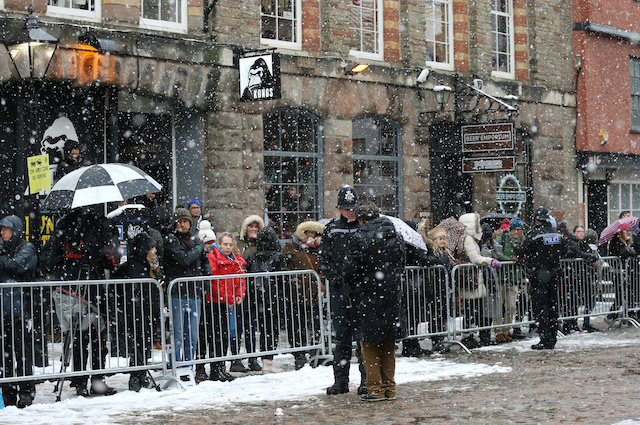 Clearly, the weather didn’t seem to effect anyone’s moods as everyone looked to be smiling and having a great time in the photos. 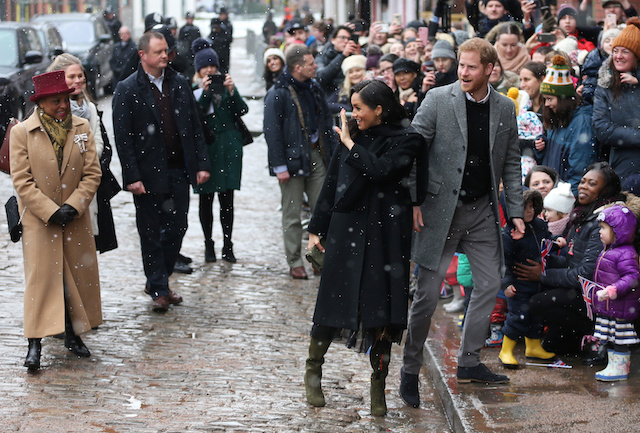 Not to mention, how fashionable the Duchess looked once more rocking a long black coat with olive-green high heel boots for the outing. 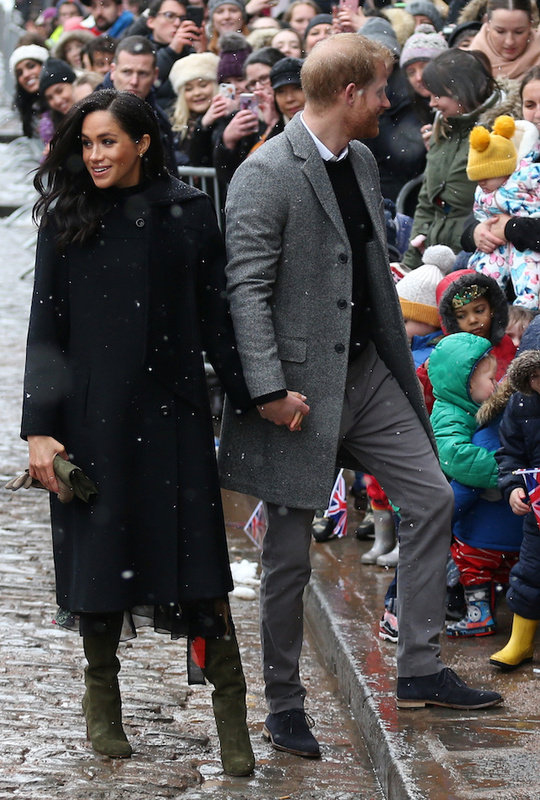 The visit comes on the heels of reports that the newlyweds are planning to move out of Kensington Palace as soon as March to Frogmore Cottage on the grounds of Windsor Castle so they can be all settled ahead of the arrival of their first child.